These legends include tales of buried treasure, ghost stories, outlaws, witches, and more. 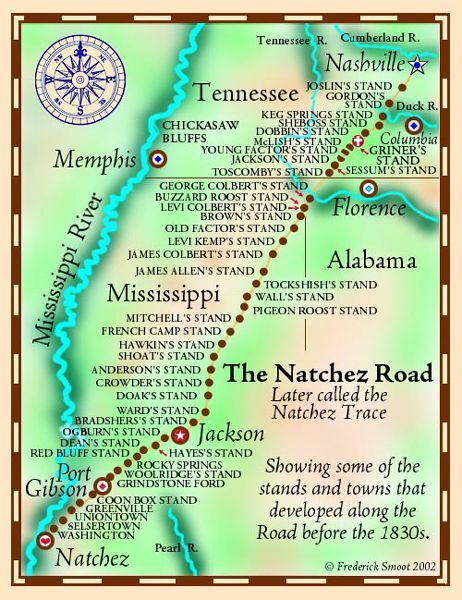 The Natchez Trace is very old, dating back thousands of years to the days of the Mississippi Mound builders. 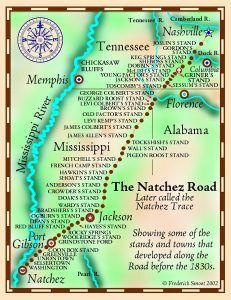 Years later, it was utilized by the Choctaw, Chickasaw, and Natchez tribes who called the region home and traveled upon the trail on hunting and trading expeditions. By the time the first European explorer, Hernando de Soto, came to the region in 1541, the path was well worn and the Mississippi Moundbuilders were gone. Later, more explorers would use this “wilderness road,” followed by frontiersmen and pioneers. Unfortunately for the honest emigrants, hunters, and traders that used the trail, there were many who lurked within the forests and swamps, just waiting to pounce upon them. By the early 1800’s, the trace had become a favorite hideout for outlaws. Such notorious names as the Harpe Brothers, Joseph Thompson Hare, and Samuel “Wolfman” Mason, practiced their land-pirate ways along the trace, committed bloody atrocities which included robbing, torturing, mutilating and killing innocent victims along the trail. Many who dared to travel along the Natchez Trace during this time were never seen again. 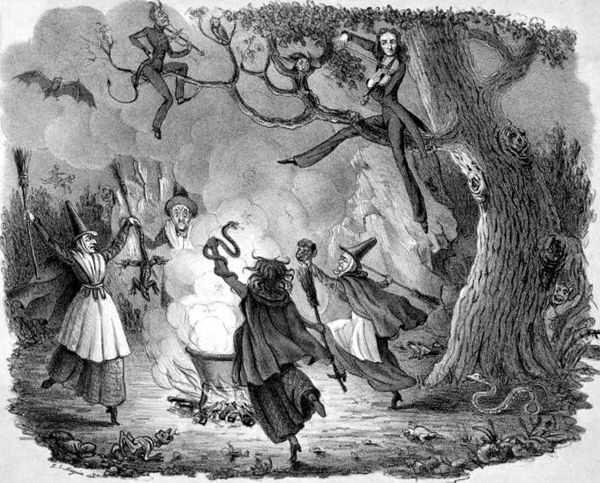 Just south of Tupelo is a sign which reads “Witch Dance”, where local legend says witches once gathered here to dance and that whenever their feet touched the ground the grass withered and died, never to grow again. And, all along the trace, there are places that are said to be haunted, especially in Natchez. Here, a sinister presence is said to lurk in Devil’s Punch Bowl, a peculiar land formation on the Mississippi River; at a once notorious and violent area called Natchez-Under-the-Hill, a number of ghosts are said to lurk; and, elsewhere, previous owners of their beautiful antebellum mansions are said to continue to reside within their old homesteads. 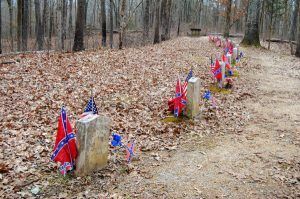 Yet more tales of hidden pirate loot and caches buried by Civil War soldiers also add to the many legends of the Natchez Trace.